And in Boston, part of being here means watching 12 championship parades roll through town in the last 17 years. 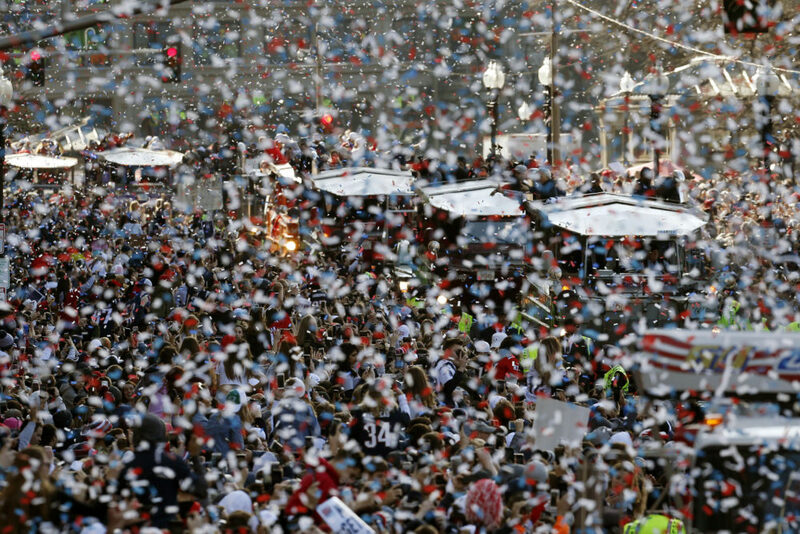 At the Patriots' victory parade last week, 1.5 million fans turned up for the celebration. But how much are these massive weekday parades burdening our transit system? And if we're going to keep winning, how can the city make celebration days safer and more sustainable for everyone? Jim Aloisi, former transportation secretary, a member of the TransitMatters Board, and the principal of Trimount Consulting. He tweets @jimaloisi.